Once and for all, Passenger is in the driver’s seat. 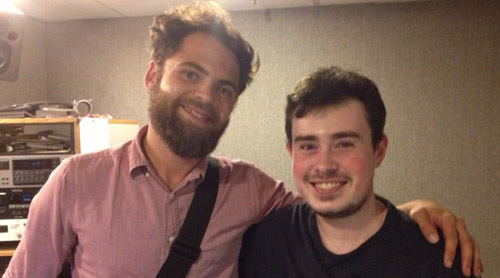 It was also that post that landed me a few interviews with Nettwerk in May, and then, thanks to my constant nagging to the program director (I’ll admit it), Mr. Rosenberg himself performed at my current job in an acoustic set back in August. He was wonderful and met every expectation I had about him. I may not have been picked for the job, nor do I remember a lot except for some bits and pieces about that summer day, but the one thing that’s remained a constant all this time is the artist, his lyrics, and his songs. That’s the heart of this post, not what happened to me. After all, if I hadn’t seen his song place on the ARIA Singles Chart and then look up the music video, things would’ve turned out very differently on this year-end survey, but of course, I’m glad things ended up the way the did. 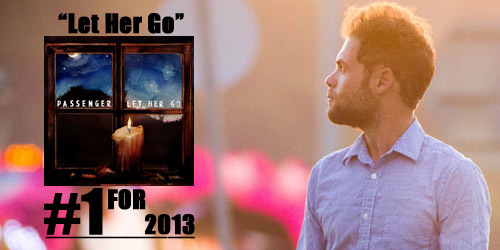 “Let Her Go” was recorded way back in March 2011, written and co-produced by Rosenberg, along with Chris Vallejo. It was initially released in July of last year and marketed to AAA radio in the fall, where it peaked in the mid-30’s before falling off the radar. Then, suddenly, the song took off in Europe, and then Australia and New Zealand, and nearly every country it touched, it became at least a top ten hit. 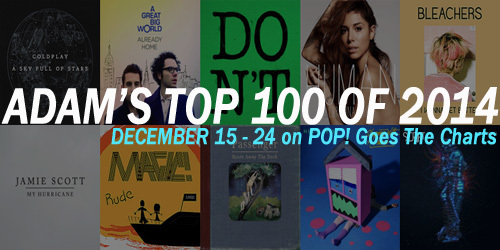 The same can be said of the United States, where it finally broke the Hot 100’s top ten several weeks ago. It’s so far peaked at #9, but there’s still life left in it. “Let” has been certified for shipments of nearly 3.5 million copies and, in worldwide sales, is at the 5 million mark. On my personal chart, “Let Her Go” debuted at #36 in late March and took a quick ride up to #1, where it spent twelve consecutive weeks there. It holds the all-time record for longest consecutive run at the top for a male act and longest run at #1 overall in five years. The two followup singles, “Holes” and a rerelease of “The Wrong Direction”, also spent time at the top. Now, it’s just the latest single to reach the 40 week mark. Should it make it to 50, it will rank as the second-longest running song ever. That’s a little ways away, but I thought I would just put it out there. Sometimes, you feel defensive about an artist even when you can’t claim to have discovered them, heard their music first, and whatnot. I mean, I first heard Passenger earlier this year; there are tons of people out there who have enjoyed Rosenberg’s music since the act was a band back in 2007 with their only full-length release, Wicked Man’s Rest. It’s so easy to put yourself in that position even when you know it’s not right. I’m guilty of it. However, from my post being recognized to the phone interviews to actually meeting the guy, I sort of felt like I was justified in that role. It at least gave me hope that maybe something could happen for me in my current situation to the point where I could look back 15 or 20 years from now and say, “Hey Mike, remember that one time I posted this and you responded “Hope so too :)” and that whole chain of events spiraled into motion?” It’s just a dream for now. Luckily, there’s still work to be done: a new album in 2014, more touring, etc., and I’d love to be a part of it. Congratulations to Nettwerk Records, The Artist Cooperative, and the radio staff at Warner Bros. Records for a breaking a really talented artist with a meaningful set of songs here in the States. I know there was pressure to deliver on a slow burner of a song that’s done wonders internationally, but everything’s falling into place now. 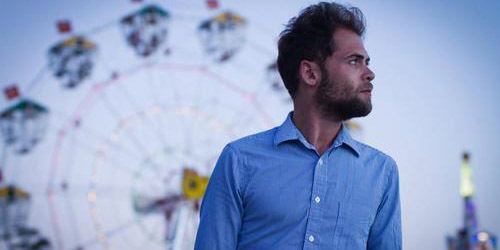 Most of all, it’s the man himself, Passenger, who deserves the credit for creating a song with a message that was relatable on so many levels of relationships and experiences. It’s one of those rare universal songs, both lyrically and success-wise. I can’t wait to see what happens in 2014. I sure fell into this one. Can you dig it? I can dig it. No, we won’t be grazing in the grass for this entry in the countdown, but we may be crashing through craters and turning into some tunnels on the ride there. 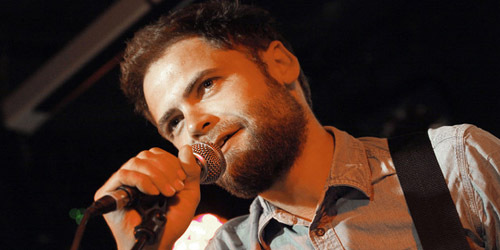 Call it a pit hit for the 29-year-old singer Passenger. 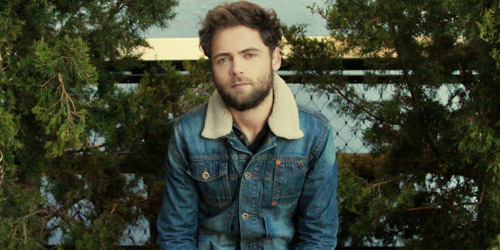 Born Mike Rosenberg in Brighton, England, he wrote and co-produced this second of his three songs on the chart, which was also co-produced by Chris Vallejo. 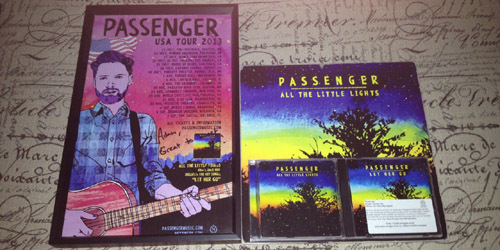 You can find the original edit on his 2012 album All The Little Lights, ranked as my #2 album of this year. When serviced as a radio single, it was remixed with several added elements, including a prominent xylophone throughout the arrangement, a backing choir in the second verse and light strings during a repetition of choruses in the last 1/3 of the song. Yet, in any version, the best aspect of this song is the wordplay, which Rosenberg always does a fantastic job with. So, you’ll be able to find a hole in your pocket, your shirt, a promise, etc., but none in this post, of course. With the immense attention “Let Her Go” received, “Holes” couldn’t garner the same reaction when released in Europe this year, especially when “Let” was still receiving consistent airplay and sales. It did crack the top 40 in Australia, Austria, Belgium, Ireland and The Netherlands, but unfortunately, it likely won’t be remembered down the line. Still, a charting song is a charting song. As for where I think this should’ve peaked globally, well, that’s a hole other story. Mr. Rosenberg still has one song left to chart in my special year-end chart; how high will I let it go? You’ll find out very soon.